The MikroTik S+85DLC03D supports multi mode fiber connections up to 300 metres. 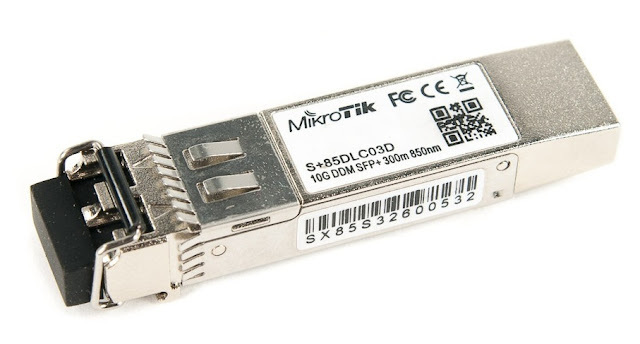 The S+85DLC03D offers the power of a 10G SFP+ transceiver with a LC connector along with the compatibility with both the CCR1036-8G-2S+, CCR1036-8G-2S+EM and other non-MikroTik SFP devices. ← MikroTik S+31DLC10D 10G 10Km Single Mode SFP+ Module.